Edited by Halko Weiss, Ph.D., Greg Johanson, Ph.D., and Lorena Monda, L.P.C.C. This updated book on Hakomi Therapy is co-authored by international Hakomi faculty, including a new, previously unpublished chapter from Hakomi Founder Ron Kurtz. The book provides an in-depth exploration of all aspects of the Hakomi Method for professionals and graduate students in psychotherapy, counseling, clinical social work, and related fields, including practices that are immediately applicable, and inspiration for further study. It will also be of interest to people interested in the applications of mindfulness, the body-mind interface, healing attachment issues and developmental trauma, and effective pathways for profound individual growth and change. 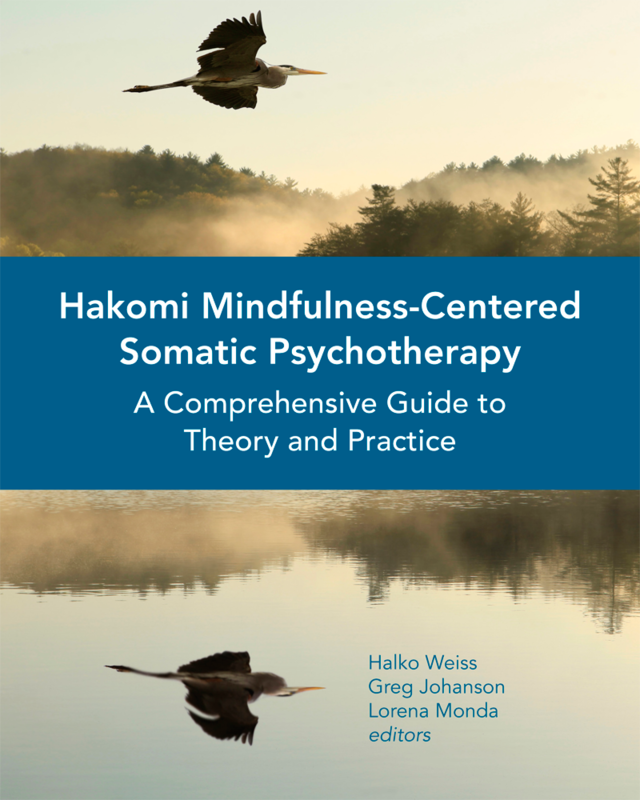 Included are chapters on Hakomi’s unique use of mindfulness in the therapy session and its integration with somatic and verbal techniques to create a powerful experiential process for the client. Hakomi provides a direct, yet safe access route to the unconscious “blueprints” and implicit memories that guide our lives without our knowledge. Once conscious, these are available for neural re-wiring, memory re-consolidation, and transformation. The book is available for a limited time at a 20% discount from W.W. Norton (Regular price $42.50, Discount price $34.00) (Click on this link and enter the code HAKOMIHQ). A 20% discount is also available at Amazon.com and BarnesandNoble.com. —Louise Sundararajan, Ph.D. , Ed .D. Dec. 8, 2015 is the publication date for the English edition from North Atlantic Books. Halko Weiss, Ph.D., Hakomi Institute Co-Founder and senior Trainer is Co-Editor of the book, authored by Gusti Marlock and co-edited by Michael Soth and Courtenay Young. Designed as a text for somatic psychology courses, the book includes 100 cutting-edge essays and studies from professionals around the world”, including originators in the field: Al Pesso, Ron Kurtz, Peter Levine, and Alexander Lowen, with a forward by Bessel van der Kolk. Body-Centered Psychotherapy, The Hakomi Method, Ron Kurtz, LifeRhythm, 1990. This is Ron Kurtz’s original book on Hakomi – it is a good introduction to the Hakomi principles and Method and to the therapeutic applications of mindfulness. Inspiring for therapists and clients alike. Available from amazon.com or from the publisher. Read review. Grace Unfolding; Psychotherapy in the Spirit of the Tao te Ching, Greg Johanson and Ron Kurtz, Bell Tower, 1991. Available on amazon.com. This is a beautiful and clear book on a psychotherapy which sensibly integrates principles from Eastern spiritual disciplines. “Save yourself a lot of time and read this remarkable book” – John Bradshaw. 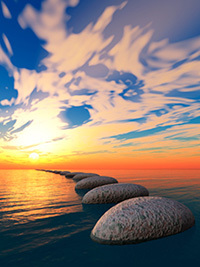 “In a clear, gentle, and sometimes humorous voice, it speaks to us of therapy as partnership, as ‘being in communion’, with the task of the therapist to help us to be more aware of our unique individuality, our connection with all life, and – above all – our own inner wisdom.” – Riane Eisler, author of The Chalice and the Blade. Read review. “Body-centered Counseling and Psychotherapy” by Donna Roy, chapter in “Counseling and Psychotherapy: Theories and Interventions” 4th Edition, Capuzzi, D. and Gross, D., Eds. Merrill Prentice Hall, Upper Saddle River, NJ, 2006. This overview of somatic oriented methods and theories, including a discussion of Hakomi and other related approaches, is a chapter in a current, broadly used psychotherapy textbook. Read chapter. Experiential Psychotherapy With Couples – A Guide For The Creative Pragmatist, Rob Fisher. Zeig/Tucker, 2002. To order, contact Rob Fisher at wildtemple@aol.com. Experiential Psychotherapy With Couples – A Guide For The Creative Pragmatist is the application of Hakomi to Couples Therapy. The book demonstrates how to use Hakomi principles and interventions in couples therapy. It demonstrates with numerous clinical examples how to track non verbal communication and experiences, how to join with a couple, how to use live experience to access and explore deep organizational material, how to name and intervene in repetitive couples systems. It also includes a longer section on character and how the interactions of character influence relationships, and a section integrating experiential work with more traditional theories of marriage and family therapy. Ron Kurtz wrote the forward. Read review. Website. 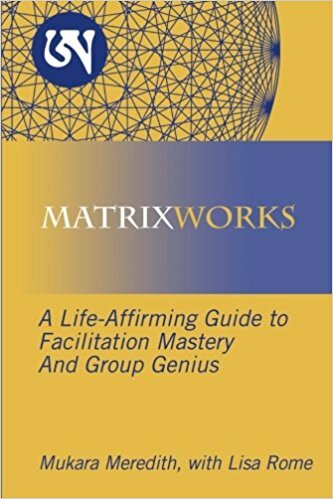 MatrixWorks exists to teach groups how to thrive as living systems, and individuals to take leadership in their groups and lives. This book gives you the teaching frameworks to create this aliveness in yourself and the groups in which you participate. It includes theory, facilitation tools and practical applications of the work. The book prepares matrix-inspired leaders to function effectively and nourish life in times of chaos and profound change. The Practice of Wholeness: Spiritual Transformation in Everyday Life, Lorena Monda. Golden Flower Publications, 2000. Available from amazon.com. A easy-to-read, enjoyable, and practical guide for therapists, healers and their clients, The Practice of Wholeness is based on the results of a ten-year research project on core transformation. The book teaches how to use the elements of everyday humanness—body, emotion, mind, and spirit—to cultivate the experience of wholeness and inter-connectedness. Emphasizing the importance of ongoing psycho-spiritual practice, The Practice of Wholeness offers a clear and realistic map of core transformation, which can be utilized by anyone interested in deep transformation, healing, and empowering the true self. Read review. Living in the Power Zone: How Right Use of Power Can Transform Your Relationships, Cedar Barstow, M.Ed. & Reynold Ruslan Feldman, Ph.D. Contents: Eight chapters cover such important topics as owning the power you have, negotiating power differences, strengthening your core, resolving and repairing interpersonal difficulties, overcoming barriers to empowerment, and leading wisely and well. Self-study processes are included in a special section. Is this the right book for you? Yes, this is a book about right uses of power for everyone. It is a practical how-to book that will help you understand and successfully navigate the rapids of real-world relationship and organizational power; in short, to live in the Power Zone. Get the Kindle version of this book on Amazon (E-book) or Purchase a hard copy of Living in the Power Zone. Read a radio interview about the book, Living in the Power Zone! Right Use of Power: The Heart of Ethics— A Resource for the Helping Professional, Cedar Barstow, M.Ed. Contents: 25 topics covering the 4 Dimensions of the Right Use of Power. Use the book for CEUs. A total of 30 CE hours for 25 separate mini-courses that can be acquired over time 1 to 2 CE hours per mini-course. Is this the right book for you? Yes, if you are interested in issues of personal and professional power, and/or if you need Continuing Education (CE) credit (ethics or other) and want to get them through home study. **This is the book you will need and that is required for earning CE’s at home. Purchase a copy of Right Use of Power: The Heart of Ethics— A Resource for the Helping Professional. Right Use of Power: Ethics for the Helping Professions:A Resource Book and Teaching Manual, Cedar Barstow, M.Ed. Is this set right for you? Yes, if you would like to have access to the complete range of resource materials and you wish to teach this relational and experiential approach to issues of power. Purchase a copy of Right Use of Power: Ethics for the Helping Professions:A Resource Book and Teaching Manual. Body, Brain, Love: A Therapist’s Workbook for Affect Regulation and Somatic Attachment, by Karen Rachels, MFT, Certified Hakomi Therapist. Published through Ingram Spark, 2015. This workbook provides therapists with the basic neuroscience of affect regulation and attachment necessary to be effective “21st-century practitioners”, through a somatic lens. Somatic skills based on Hakomi foundational concepts and those of other body-focused therapies are taught to facilitate practical clinical application. It is designed as an accessible, easy-to-absorb workbook with charts, games, self-focused exercises, case vignettes, and a complete session transcript with annotations. Experiential and didactic material work together to enhance compassion, and to help therapists understand how their own regulation and attachment strategies affect their clinical work. 6 CEUs are available for California LCSW’s and MFT’s for reading the book. Body-Centered Psychotherapy: The Hakomi Method, Ron Kurtz. Available from amazon.com or from the publisher. Hakomi is a Hopi Indian word which means “How do you stand in relation to these many realms?” A more modern translation is, “Who are you?” Hakomi was developed by Ron Kurtz, co-author of The Body Reveals. Some of the origins of Hakomi stem from Buddhism and Taoism, especially concepts like gentleness, compassion, mindfulness and going with the grain. Other influences come from general systems theory, which incorporates the idea of respect for the wisdom of each individual as a living organic system that spontaneously organizes matter and energy and selects from the environment what it needs in a way that maintains its goals, programs and identity. Hakomi also draws from modern body-centered psychotherapies such as Reichian work, Bioenergetics, Gestalt, Psychomotor, Feldenkrais, Structural Bodywork, Ericksonian Hypnosis, Focusing and Neurolinguistic Programing. Hakomi is really a synthesis of philosophies, techniques and approaches that has its own unique artistry, form and organic process. Grace Unfolding: Psychotherapy in the Spirit of the Tao-te ching, Greg Johanson and Ron Kurtz. Available on amazon.com . This sensible and compassionate book relates the principles of the Tao-te ching – Lao Tzu’s Chinese classic – to the practice of contemporary psychotherapy. With extraordinary insight it clarifies the roles and responsibilities of both clients and therapists. In addressing such important issues as the meaning of nonviolence and nondoing, the use of the body in therapy, the introduction of mindfulness, the nature of transformation and growth, the concept of the inner child, and the interrelatedness of all things, Greg Johanson and Ron Kurtz offer readers the skills and awareness they need to understand the therapeutic process more fully. The gentle yet paradoxical power and wisdom of the Tao-te ching have guided people for more than two thousand years. Grace Unfolding places this ancient tool in the hands of new generations of those who seek psychological balance and integration of mind, body, and spirit. Experiential Psychotherapy With Couples – A Guide For The Creative Pragmatist, Rob Fisher. To order, contact Rob Fisher at wildtemple@aol.com. 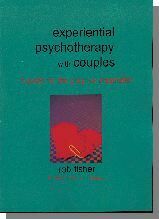 “Rob Fisher has outlined an extraordinarily innovative approach to the treatment of couples. Thoughtful and provocative, his book bring together a wealth of disparate perspectives to generate a clinical framework that is altogether original.” David Wallin, PhD. Co-author of Mapping the Terrain of the Heart: Passion, Tenderness and the Capacity to Love. “Rob Fisher has developed a host of effective ways to resolve gridlock by tapping into experience that the partners often don’t even know they are having. Its hard to read his new book without repeatedly thinking ‘That’s how I should be doing couple therapy'”. Daniel B. Wile, PhD. Author of Couples Therapy: A Non-Traditional Approach. “Whether they want to learn a new system or to supplement their existing approach(es), therapists of many persuasions will find Experiential Psychotherapy with Couples: A Guide for the Creative Pragmatist to be an aptly named treasure trove. Both theoretically sophisticated and full of “how to” techniques and illustrating case examples, its also fun to read. I recommend it enthusiastically!” Michael Hoyt PhD. Author of Some Stories are Better than Others, Brief Therapy and Managed Care, Interviews with Brief Therapy Experts and The Present is a Gift. “Well written and filled with clear examples and exercises, this book offers practical guidelines to therapists interested in applying and experiential orientation to couples work and in integrating it with other schools of family therapy.” Richard C. Schwartz, PhD. Author of Family Systems Therapy, co-author of Family Therapy: Concepts and Methods. 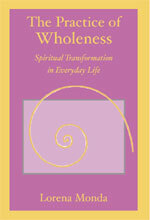 The Practice of Wholeness: Spiritual Transformation in Everyday Life, Lorena Monda. Review By: Basia Kruszewska, Ph.D, Wholeness Here and Now. My initial experience with this book was probably a classical example of why the author says spiritual transformation does not come easily to most people. I read the book voraciously. The prospect of the wholeness that Lorena Monda described was enticing. The concepts she spoke of were universal. In every section, I found something that resonated: Hiding your grief from your friends because they think you should be over it. Dividing ourselves into “us” and “them.” How to be ourselves while at the same time be willing to change for another. But in spite of the author’s insistence that this book was intended to be used as a workbook, I skimmed or skipped through most of the exercises. I had lots of excuses: I didn’t have the time; they were for people who had never done much therapy; I couldn’t see how doing them would help me; I was already knee-deep in “real” homework. So when I closed the book it was with a deep respect for the author’s wisdom, but (not surprisingly) nothing had changed for me. For as Lorena points out repeatedly throughout the pages of this book, insight is not enough. Transformation is in the practice. So now, I am slowly, cautiously going back, and practicing. Sometimes playfully, sometimes painstakingly, but practicing. In a sense, writing this review is part of my practice of wholeness. One night, I caught myself thinking, “I’ll be able to write a great review for this book when my own transformation is complete.” And immediately Lorena’s words came to mind: We think we’ll find happiness once we work through these issues…or we complete that project…or find that soulmate. My transformation is far from complete, but practice has made me mindful of the fact that wholeness is available here and now. Do the exercises if you can. But even if insight is all you’re after right now, pick up this book. Reading it is a delight. Gentleness and patience are interwoven into every word. You can’t help but learn to pay more attention to your body, as Lorena skillfully weaves together Oriental Medicine, Western psychotherapy, the teachings of Thich Nhat Hanh, and a deep belief in the interconnectedness of being. I’m giving copies of this nourishing book to several friends. You can also order directly from the publisher; if you mention you saw the book on the Hakomi Institute website you can get 10% discount.